New Fall '12 Jackets from Firstgear! Two of the jackets are brand new in the lineup, while three are redesigned from previous models. 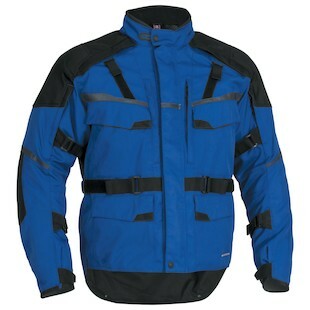 This innovative new jacket, the Firstgear Men's Heated WP-Breathable Jacket is a warm coat that can make you warmer. 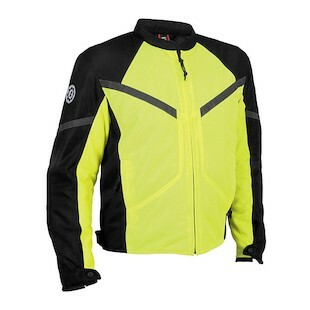 It's waterproof and breathable in a microfiber polyester shell with illuminate reflective panels. The heat panels work with all Firstgear Heat-Trollers. Available in red/black or grey. 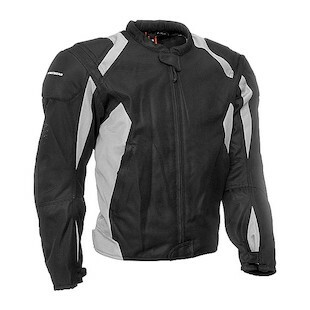 Refined, the 2012 Firstgear Mesh Tex Jacket, has some safety improvements: reflective piping along the front and sleeves and a back pocket protector that will accommodate a CE level back protector. The outer shell is made of polyester mesh with CE-approved armor at shoulders and elbows and comes with a zip out liner. Available in five colors. 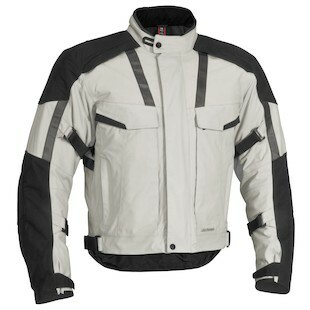 Updated for 2012, the Firstgear Kenya Jacket unites style and utility. It has a Hypertex waterproof and breathable style shell with removable insulated liner. CE-approved armor is at the shoulders and elbows. Available in three colors. With classic styling, the Firstgear Rush Tex Jacket is waterproof and breathable for all-weather protection. CE-approved armor is at shoulders and elbows. Front shoulder vents intake with large rear vent exhausts. Available in black and silver/black. The update to the first version, the Firstgear Jaunt T2 Jacket is loaded with fit and functional features. 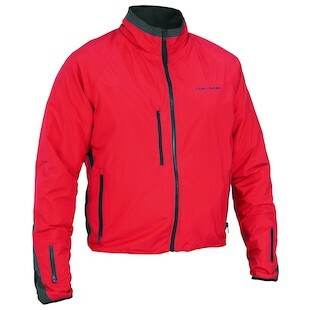 The hypertex waterproof and breathable shell is high-density 600 denier polyester. CE-rated armor is in the shoulders and elbows with an EVA foam back protector. Generous venting, reflective panels, pockets are a few of the many features of this jacket. Available in five colors.